Many of us like animals, and they are very accepted beings in most societies. Many of us have pets, and most of us want them to be well looked after, because they are a big part of our lives and very important to us. Whenever we can we give them our attention, buying their favorite food or toys. We like to treat them as if they were one in the family, so you shouldn’t miss today’s blog because maybe you find your next perfect gift; our animal stickers or gift cards. Animal decals or car stickers with your favorite pet or animal is an original and fun way to always carry it with you. That’s why in today’s blog we’re going to talk about the top 10 of the most popular animal and pet vinyls, so you can have an original and fun idea of ​​gifts for those who have fallen in love with these little charmers. Since we love animals so much, we offer you 10 animal decals that are a success wherever you go, whether by car, motorcycle, caravan etc. In the top 1 of animal vinyls today we have the dog, a great example of pets which are present in many families. Since dogs are our faithful companions, we usually take them with us wherever we go, so why not on our car? 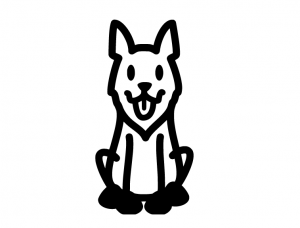 In our library we have many different breeds that you can choose between, to get the best personalized dog car decal for you. To apply on your car, scooter, bike etc. 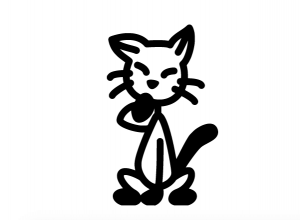 In the top 2 of today’s blog we have the cat, which is one of the most common pets. 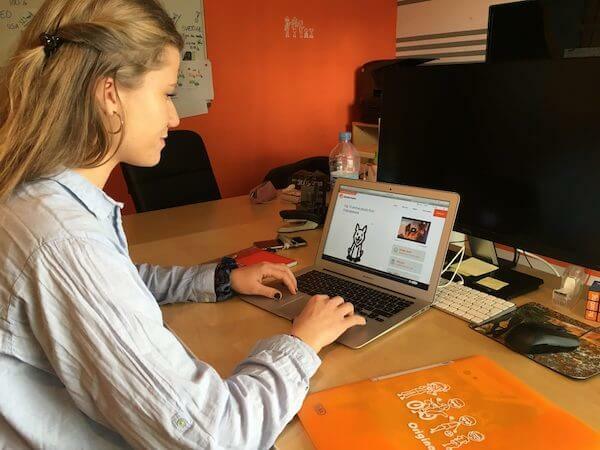 That’s why we propose a series of cat car decals that you can place on your rear window, your mailbox or wherever you want. Since the cats tend to stay more at home, we also propose the sticker vinyl for windows. They are fun, original and easy to apply. In the top 3 we have a somewhat special animal, since it is not common to have as a pet. But even so, it is the favorite animal for many persons. We talk about the lion, which in our list of animal vinyls occupies the 3rd place. We have both a female and male lion. 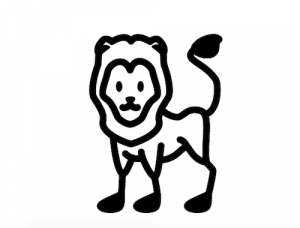 Since it’s a wild animal not everyone has the luck to see them in their natural environment, so we offer you lion car decals that you can personalize with your favorite name, color and size. The fish is another animal that we like to have as a pet. They usually live in aquariums, either alone or with other water species. 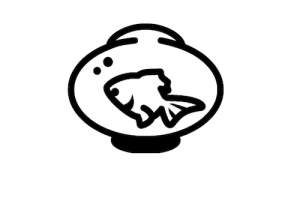 We propose that you create fish car decals with the name of your fishes, and stick them on the aquarium. Fishing car decals are easy to apply on a glass surface. Do you have children, friends, relatives who are in love with horses? Maybe they do horse riding or they just simply love these animals. Here we suggest a perfect gift for them, the horse car decals are original and can be customized for cars, mobiles, computers etc. Just choose the size you want. Other vinyl animals that we also like a lot are the guinea pig stickers. These are really cute. And are becoming more and more popular as pets. 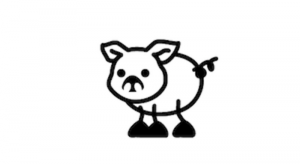 You can choose one or many of the pigs, write a text that you like and then choose between black or white vinyl. The guinea pig decals for cars are really popular. 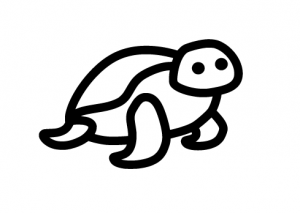 The turtle, a very slow animal, but we love its funny way of moving its head and body. The shell is hard as a stone, which they can hide within so nobody can disturb them. Usually they prefer to live outside, in the garden. We love this turtle car decal. Other small animals, which we are also used to have in our gardens, are chickens. 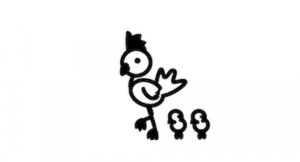 We have a really cute chicken car decal for you, with a mom and her kids walking behind her. For those brave and adventurous we bring you a bit of a dangerous vinyl sticker! 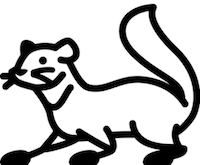 A ferret car decal, for those who have this beautiful animal as a pet. In the last place but not least, we have the spider, which are popular to have in terrariums. They are also common as pets, and therefore accompany us in our top 10 today. Make your own spider car decal. Be original with Originalpeople! 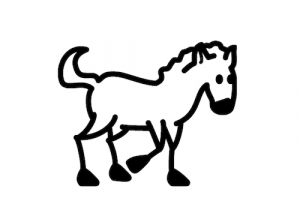 Create your own animal decal!